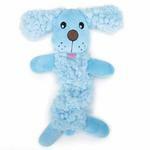 Grriggles Baby Bark Bungee Puppy Toy in blue includes flat and fluffy textures in the softest fleece to keep your new pup happy. Grriggles Baby Bark Bungee Pup Toys are little toys for little dogs, and the perfect gift for "pet parents" welcoming a puppy into their homes. Bungee feature lets toy s-t-r-e-t-c-h, to teach puppies tugging games. Made of 100% polyester plush, bungee elastic, squeaker. Great gift for the newest addition to your family. Perfect friend for your little furry pet. Posted On 11/30/16 by Carol R from Inver Grove Heights, MN Yes, Carol R recommends this product! 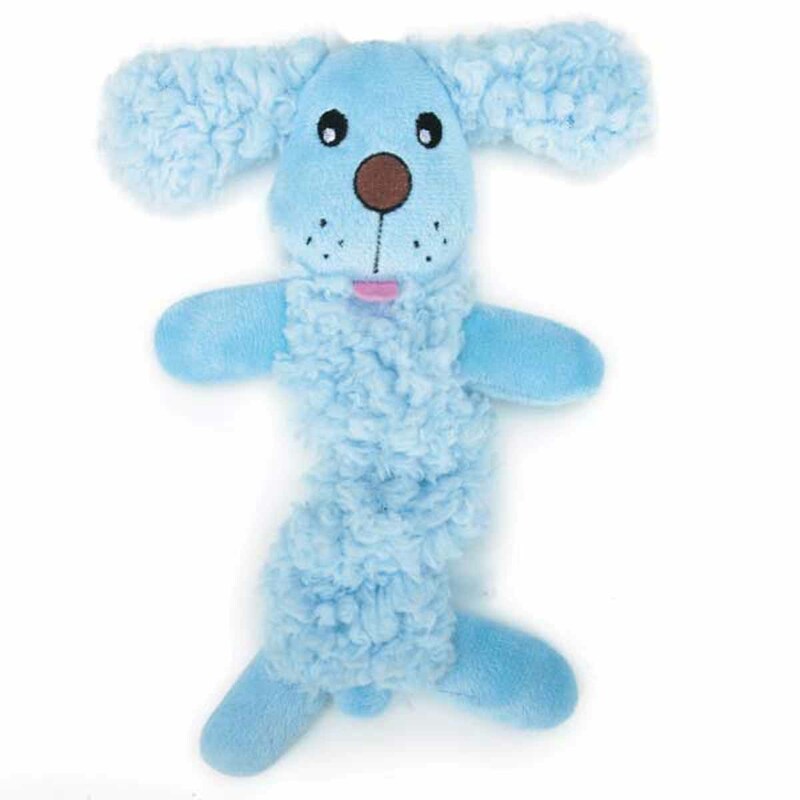 This little guy Grriggles Baby Bark Bungee (Baby Blue) I just purchased for my 2 year old Chihuahua Calvin is more adorable in person then on the website. Calvin is getting this for Christmas. I just know that this will be his favorite friend.